Railways have played a fundamental role in the settlement and growth of communities across Canada for more than a century. But the practice of developing land in close proximity to railway operations, and the expansion of rail in urban areas, has caused some challenges for municipalities, developers and railways. 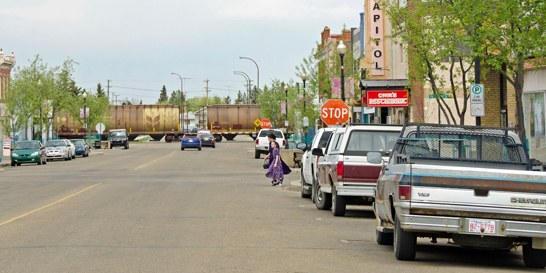 The Federation of Canadian Municipalities (FCM) and the Railway Association of Canada (RAC) are committed to building a common approach to the prevention and resolution of issues that may arise when people live and work in close proximity to railway operations. The FCM-RAC Proximity Initiative members believe that our model of collaboration can better address these challenges and demonstrates that municipalities, railways and government can work together to improve rail safety. The FCM-RAC Proximity Initiative developed the revised Guidelines for New Development in Proximity to Railway Operations (Guidelines) in May 2013 which built upon an earlier version of Best Practices and Guidelines issued in 2003. They are meant to assist municipal governments and railways in reviewing and determining general planning policies when developing on lands in proximity to railway facilities, as well to establish a process for making site specific recommendations and decisions to reduce land-use incompatibilities for developments in proximity to railway operations. A key component is a model review process for new residential development, infill, and conversions in proximity to railways.